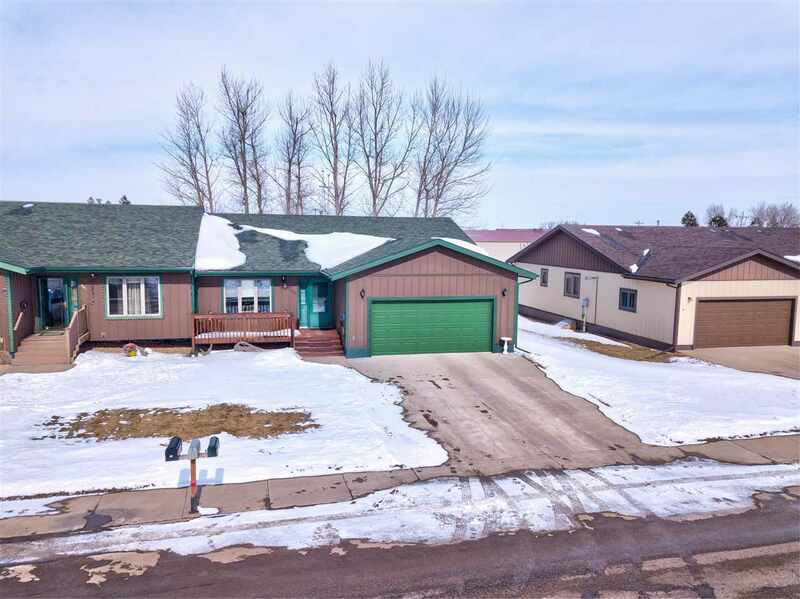 If you want to see a spotless home, call or Text Listing Agent Cathy Buckmaster - The Real Estate Center of Spearfish - 605-210-2222 for more information. Main floor features 2 bedrooms, 2 baths, main floor laundry with ample storage throughout this home. There is a covered deck off the back of the kitchen with a convenient location for your grill and a nice outdoor table. The lower level features a store room that could be converted into a 4th non-conforming bedroom, or office. There is a very nice craft room, family room and bedroom and bath in the basement. The home is conveniently located close to shopping and easy access to the highway. The master bedroom has an attached bath, plus a 2nd bedroom and bath on the main level. The kitchen has been updated and has beautiful wood floors. Buyer is responsible for verifying all information on this MLS document.